The members of SUDDEN SUSPENSION are, quite literally, living their dreams. Flash back to 2013, when the Lake County, Indiana, band issued Second Place, their debut EP. Included was the song “Centennial Lanes,” a chasing-our-dreams anthem that name-checked bands like pop-punk flag waivers Real Friends, who gave Sudden Suspension frontman Brandon Stasi the motivation and hope that he, too, could make something of himself as a musician. You could hear the reverence for his idols, all the way from the nearby Chicago scene to genre icons like New Found Glory, The Starting Line and many more. But it wasn’t until June 2013 that the band got more serious, bringing drummer Griffin Taylor into the mix. Only a month later, they recorded the aforementioned Second Place, which drew buzz from scene tastemakers AbsolutePunk and PropertyOfZack. Stasi was still in high school at the time, but with the song “Fields and Fences” quickly becoming a fan favorite across the country, Sudden Suspension’s star began to rise. 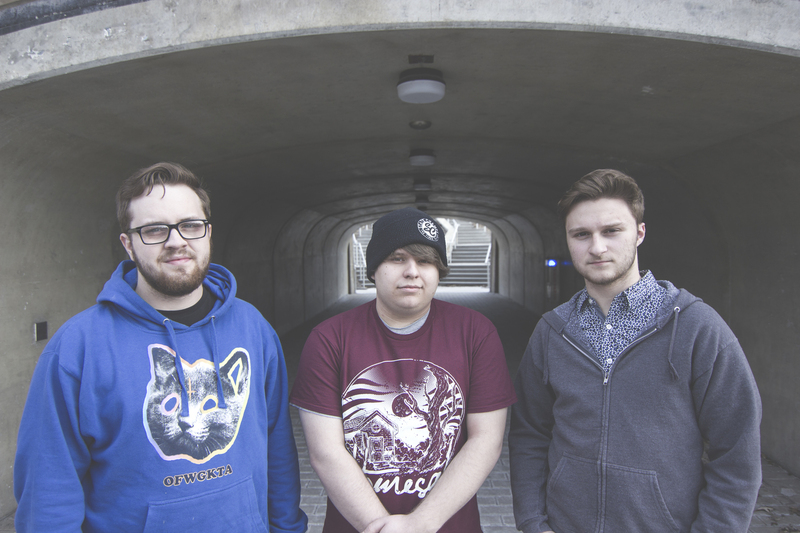 A second EP, Basement Songs, followed in 2014, as did tours supporting bands such as Handguns and Veara, which immediately established Sudden Suspension as one of the genre’s brightest up-and-comers. 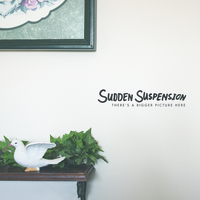 Much like current scene favorites like Real Friends and The Wonder Years, Sudden Suspension’s music is instantly relatable. Part of that is attributable to Stasi’s age, 19, but his youth is not to be mistaken for lack of maturity. This self-assuredness manifests itself in many ways throughout the EP: For starters, he’s got the foresight to realize when “good enough” just won’t cut it. Case in point: The singer is so dedicated to his art that just weeks before the band were set to enter the studio to record There's A Bigger Picture Here, he threw out two songs, rewrote one, and penned three new tracks. That’s the rare ability to realize when things aren’t perfect—and the dedication to work overtime to course-correct. This theme of self-betterment is immediately present on There's A Bigger Picture Here. The blazing “Cheap Seats” tackles the eternal struggle between being the person you are and the person you need to be, while “Eventually” finds the singer reminiscing about his youth, realizing how problems have gotten more complicated with age, and resigning that the solution isn’t a white knight riding in to save the day. Ultimately, this self-awareness is why fans across the country have related to Sudden Suspension the way they have. But for Stasi, it’s nothing short of a miracle. “When someone comes up to me and tells me my song helped them get through something, that’s part of what makes us want to keep going and pushing ourselves as much as we can. It’s an incredible feeling."